Cerino says there’s no substitute for accuracy in self defense, advising that accuracy takes precedence over speed. His methods come from long hours of practice with the Air Marshals as both a marshal and a trainer for them. Shots must be accurate and fast in that kind of environment. His methods teach that with training and practice, almost any shooter can acquire the sight picture and get off shots both quickly and accurately. Cerino stresses the importance of gear manipulation. Your ability to be successful in self defense situations depends on your ability to draw and get off an accurate shot - quickly. In the unfortunate event you’re in an encounter that requires a reload, your life might depend on the ability to do so without fumbling. When you train, have a friend load your magazines and include some dummy rounds. He said, “You have to train the way you shoot. If your autoloader has a malfunction, you don’t stop shooting and stare at it, you develop the habit of doing a tap/rack to clear the gun and get it running again. 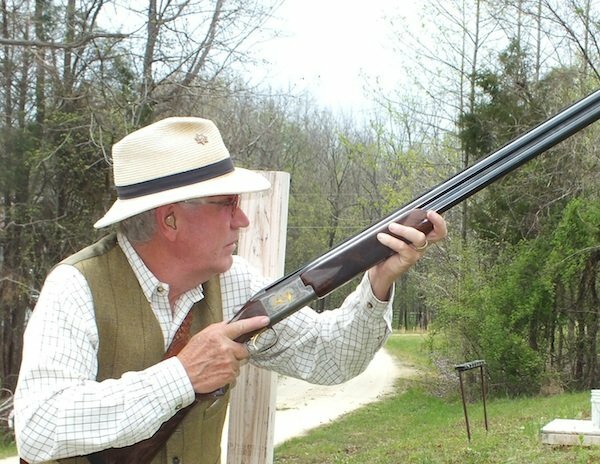 Draw should be consistent; the weak hand should meet the gun high in front of the chest while keeping the gun close to the body until it’s pushed out to acquire the sight picture. As soon as the gun clears the holster, it should go horizontal and stay that way until it’s on target. The finger shouldn’t go into the trigger guard until the gun is horizontal. Grip with the strong hand, should be high on the backstrap, gun in the web of the hand, with 50% or less of the grip coming from the strong hand in a two handed grip. Grip pressure should be front to rear, like pliers, and the trigger finger should go where you need it to operate the trigger smoothly. The heel of the support hand should cover the part of the grip not covered by the strong hand. The strong thumb rides on top of the support hand thumb without exerting downward pressure. The support hand should overwrap the strong hand. With both hands, there should be no space between the fingers and the trigger guard and be tight the trigger guard’s bottom. Chris Cerino is a former Federal Air Marshal Trainer and runs the Cerino Consulting and Training Group. Photo by Shooting Illustrated. Sight alignment begins with focus on the target until the gun is pushed out for the shot, then focus should change back to the front sight and be maintained through the shot and into the next shot. Trigger management is the most important aspect of shooting a pistol. While other principles are important, consistent accuracy can never be achieved without proper trigger management. Trigger pull method varies, depending on the gun. Double action triggers should be operated as a lever with a lot of finger in the trigger for better control. Guns with light single action triggers like tuned 1911s should be operated as a push button, using a sensitive and light press to control the trigger. The trigger should be prepped by taking out any slack to the pressure wall and then pressing it until the gun goes off. It’s important to learn to shoot as soon as the sight picture is right. 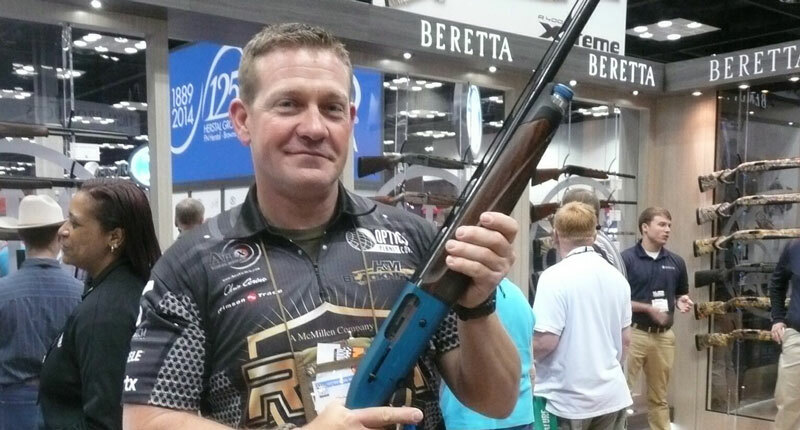 Cerino says, “If the target is not neutralized, you continue shooting every time the sight picture is aligned until it is.” With proper training and practice, the shooter can be conditioned to pressure the trigger to break when the sight picture is right. Follow through by maintaining contact with the trigger during the firing of the shot and beginning the reset cycle during recoil. The sight picture should be maintained during recovery, and if the target isn’t down, the trigger cycle begins again with every shot coming from that pressure wall. 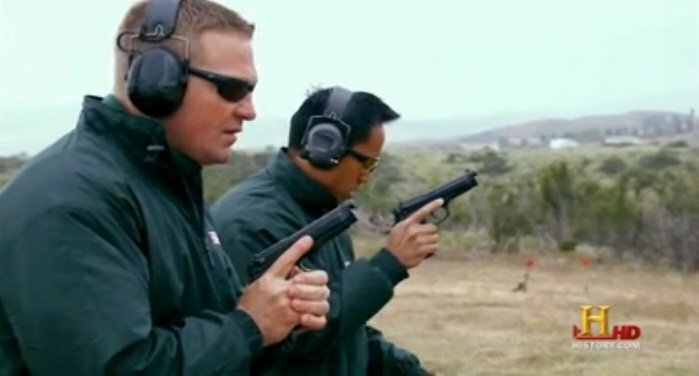 Once the target is neutralized, the shooter should bring the gun back close to his body, scanning to break tunnel vision with the target to make sure there is no more danger, and return the gun to the holster. Training the way you fight means always dumping the cases on the ground and picking them up later. Loading should be accomplished the same way it would in a gunfight, somewhere near eye level while facing the attacker or the target. Cerino covers small details like where you carry extra ammunition. He advocates using a filled speed loader or speed strip as ballast in the strong hand jacket pocket allowing the jacket to swing back long enough to accomplish and unimpeded draw. Situational awareness is the most effective prevention tool for both avoiding a gunfight and surviving one. I have the habit of staring at the target after the last round. In the instructor class, Cerino constantly reminded me this might not be profitable in a gunfight since the guy I just put on the ground might have an accomplice. Staring at the neutralized target can get you killed: it’s called tunnel vision. I’m totally aware that the odds I might need to use my carry gun are extremely slim, but it only makes sense to do things that could work in your favor if that almost unthinkable need should arise.